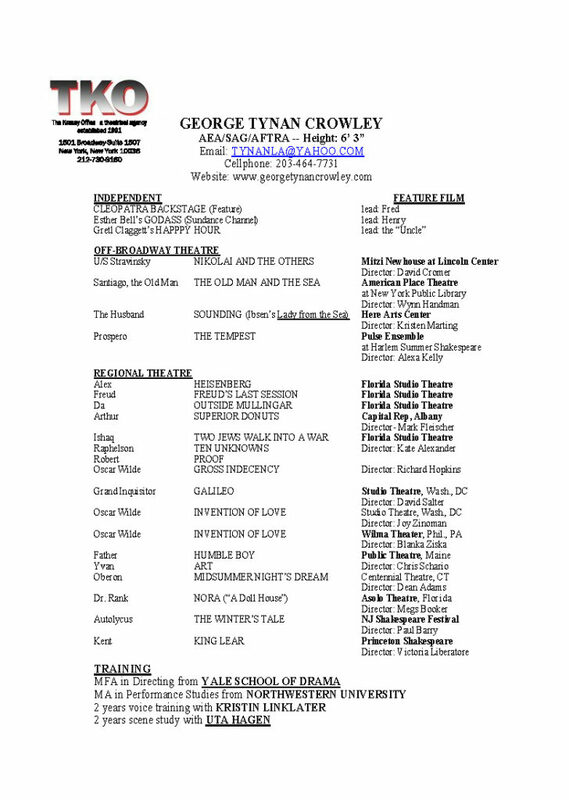 GEORGE TYNAN CROWLEY, member Actors Equity Association and Screen Actors Guild, is an actor, director, playwright, and producer. The feature film which he directed from his script “Cleopatra Backstage” won a variety of awards on the festival circuit, including a Best Actress award for its leading lady. He may be contacted through his agent Gary Krasny, 212-730-8160.